Home / News / Is online privacy worth more than the price of a pizza? Is online privacy worth more than the price of a pizza? How much is your online privacy worth to you? According to two separate US studies, the answer for many people is ‘not a lot’ as researchers have found that most people are willing to trade online privacy for a discount in their electricity prices and, even more surprisingly, a free pizza. 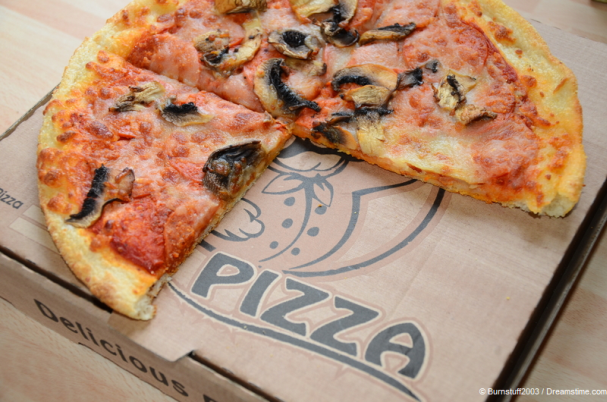 Let’s first look at the paper which suggests people are happy to trade pizza for privacy. There is a little more academic rigour to the study than that one finding might suggest, as the authors looked at what they describe as a ‘digital privacy paradox’. This is the label they have given to the disconnect between what people state are their privacy preferences and the privacy choices they actually make in real life. The paper is the result of a project which started in 2014 at the Massachusetts Institute of Technology (MIT), where 3,108 undergraduates were given an online wallet to store and manage their Bitcoins. Athey and her colleagues took the opportunity to study their privacy preferences and found some remarkable trends, especially given that their cohort were all educated and technically savvy individuals. They found that the order of privacy options presented to users at sign up influenced the privacy decisions that they made. Worrying, it was then revealed that even when more information about the privacy settings was provided, this didn’t change. More remarkably, they also found that those students who expressed strong opinions about privacy issues behaved no differently from those that didn’t. The researchers then decided to test whether a small incentive could influence privacy decisions. They, therefore, offered one group of students a free pizza to reveal the email addresses of three friends. An overwhelming majority agreed to do so, leading the report to conclude that people are “willing to relinquish private data quite easily when incentivized to do so”. They also offered students an additional encryption feature to test their willingness to take extra steps to protect their privacy. Only half took up the offer, while on half of those actually completed the process. The overwhelming revelation of this study is that there is a marked difference between what we say and what we do when it comes to online privacy. People are passionate about the importance of online privacy when asked about it as a policy issue. But when it comes to protecting their own data, many are reluctant to take even simple steps on their own. This is no doubt a factor in why VPN take-up is not significantly higher than it already is. It should, therefore, be incumbent on VPN providers to make the process of signing up, downloading, and installing a VPN as simple as possible to encourage more people to invest. With most main providers, such as IPVanish and ExpressVPN, it is already pretty straightforward. But there is always room for further improvements. The second study looked at the number of US households which would be willing to share their online data and even device control in exchange for discounts on the price of electricity. It found that across the board around 50% would be willing to do so. The report, entitled ‘The Value of Data – New Smart Home Business Models’ ($) is based on research carried by Parks Associates. It found that 51% of smart thermostat owners, 50% of hot water heater owners and 48% of smart clothes dryer owners would be willing to share data and device control in exchange for electricity discounts. The purpose of this report was to highlight to IoT device manufacturers the importance of understanding consumer willingness to give up their data. But it also serves to highlight just how willing people are to hand over personal data in exchange for relatively small incentives. These reports suggest that no matter how informed people are, small incentives are sufficient for them to be willing to hand over their private data. Equally, people are not willing to go out of their way to protect their data. Clearly, this is something which privacy advocates need to address as a matter of urgency. Because whilst they are rightly opposing government legislation which undermines online privacy, if people cannot be encouraged to do even simple things to protect their own privacy, like sign up for a VPN, all their hard work will still be in vain.